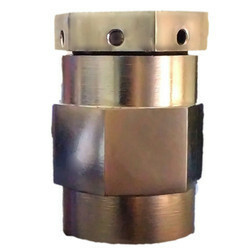 Being one of the trusted firms in the industry, we are highly engaged in providing a unique range of Pressure Vacuum Breaker. Feature: For corrosive or circa-pure liquid applications. With the valuable assistance of skilled team of professionals, we are offering an extensive range of high quality Vacuum Breaker that is used in water treatment system. The offered breaker is provided in various shapes and sizes. The entire range is manufactured in adherence with the specific requirements of our valued clients. TECHNIKA Vacuum Breakers is used to break vacuum in the system. These products need to be installed where there is a possibility of vacuum formation in the system. 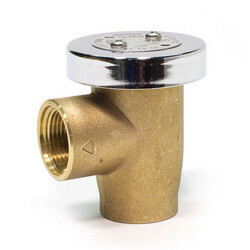 - Designed to relieve vacuum when present in a pipework system or loading arm by allowing atmospheric air to enter the system. To serve the requisite requirements of our precious customers, we are engaged in providing a qualitative range of Vacuum Breaker.